Spice up the Luau Party with Festive Tableware! Since no luau party is complete until everything is Hawaiian, don't forget the tableware! A dozen dishes per package. 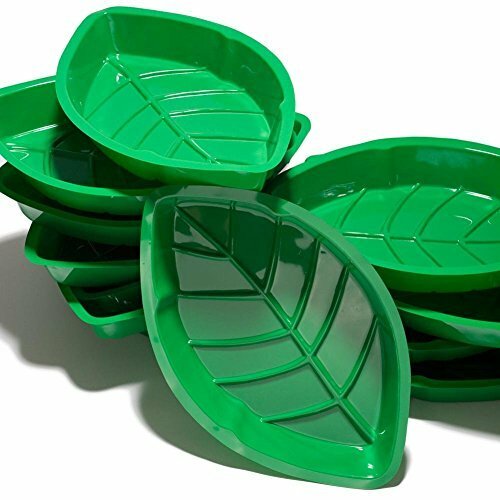 Palm tree leaf shaped tray. 12" long, 7 1/4" wide and 1 1/2" deep. Made of plastic. A must have Hawaiian accessory for tropical theme events like Hawaiian Luaus, corporate parties, weddings, and more. Part of Tableware > Serving Dishes A dozen dishes per package. Palm tree leaf shaped tray. 12 long, 7 1/4 wide and 1 1/2 deep. Made of plastic.